And so began our 5 weeks of furied flying through the Middle East. At a pace we haven't experienced for more than a week since Scotland (20 months ago! ), we ambitiously began our journey to Egypt, Lebanon, Jordan and Israel. These past 5 weeks have been an assault on our senses, our body's spatial existence and our preconceived notions about anything pertaining to these countries or these people. I can truly say our time here was more thought-provoking and eye-opening than anywhere else we've been. Sometimes it wasn't great, but then sometimes it was. Our first stop was Cairo, a city dominated by intense smog, ancient sand and hundreds of empty apartment buildings. Cairo was...difficult. Since their revolution in 2011, their tourism has dropped significantly, and you can tell. The touts are desperately aggressive, and we couldn't walk down the street without being yelled at or stared at. I'm sure most people meant well, but at the end of just seven days, I felt stretched and pulled and wrung over a dirty washboard. The pyramids and the Sphinx were, of course, amazing. We also took a day trip up to Alexandria, to see the foundations of the Lighthouse of Alexandria, an ancient wonder of the world. Apparently, they found a huge part of the Lighthouse that fell during an earthquake in the Bay right off the coast, and anyone with diving equipment can go down try to see it through the murky water. Egypt tourism at it's finest! Next stop on the tour was Beirut, Lebanon. First off, yes, there is a huge travel warning for Lebanon due to its proximity to Syria. But not for one second did I EVER feel unsafe in Beirut. It's a cool city with a chill vibe, beautiful coastline and surrounded by ancient ruins. We hung around the city, enjoying not being harassed, and took a trip up to Byblos, the oldest consistently inhabited city in the world. Also, the food in Lebanon is KING. We had a small grocery store underneath our apartment, and every time we would come in, EVERYONE would rush to help us and give us food samples to try, since we would pretty much always end up buying it. "Oh, try this!" - "Oh, and this! It's new!" Travis - "Yeah...we'd like 200 grams of that. And that. And that too." 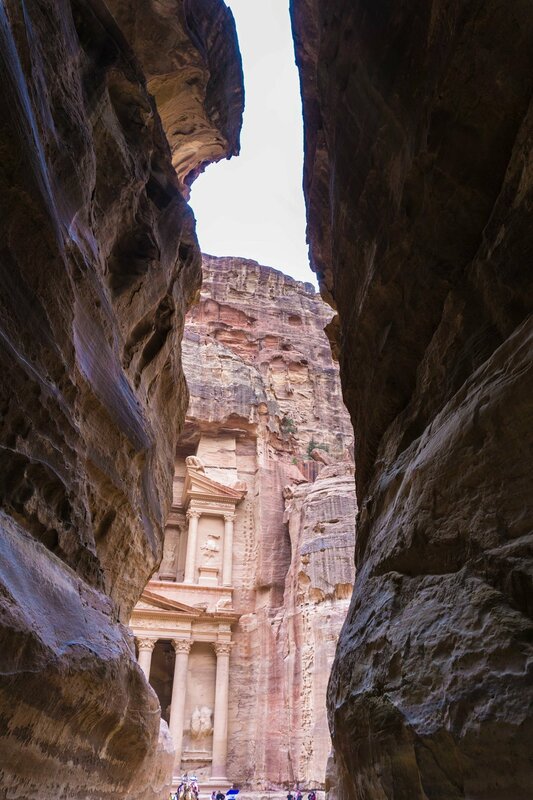 For our third leg, we rented a car in Jordan to travel all around the small but vastly varied country. Jordan was hands down the highlight of our entire time in the middle east. I can't properly express how incredible the landscape is. 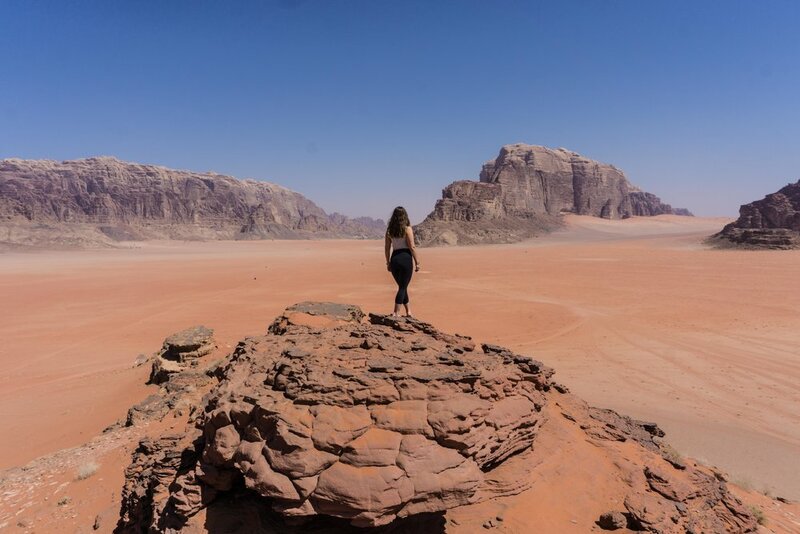 Wadi Rum is like Mars on crack; Petra takes you into its soul and doesn't let go (plus you'll have the Indiana Jones theme stuck in your head for a week), the north is all rolling hills and fallen ruins - it was mesmerizing. The people were the friendliest I've yet to encounter probably ever. The wine will change the way you think about Pinot Noir, even though there are only 3 wineries IN THE ENTIRE COUNTRY. The food was awesome (though Lebanon wins for the best food in the middle east). 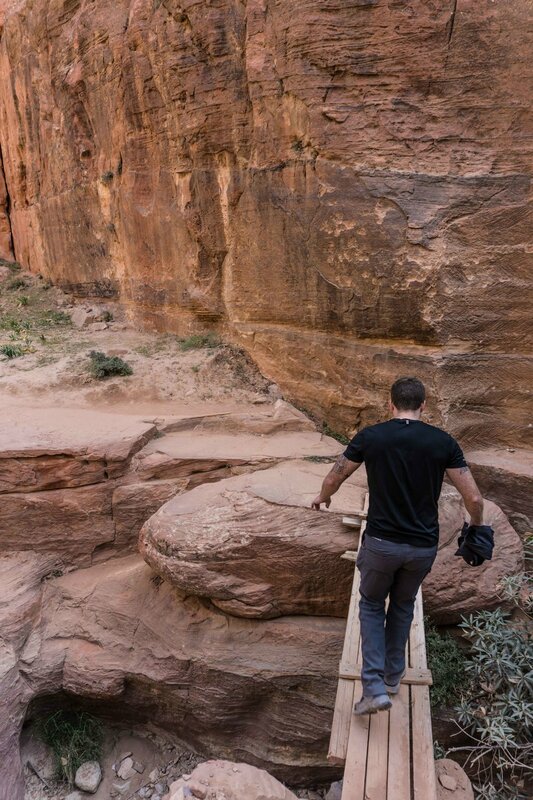 Everyone needs to go to Jordan, like, yesterday. Once we were done being charmed and enchanted by Jordan, we headed over the Jordan-Israeli border, where we were quickly reminded that not everything is wonderful in the world. Israeli Border Control kept us for almost 2 hours checking our passports (Seriously? Two Americans? We're your only friend! ), and we were pretty sure our bus driver was going to leave us as he has a schedule to keep. Luckily, finally, thankfully, they let us through and we made our way to Nazareth. First off, Israel is CRAZY EXPENSIVE. It might not actually be the most expensive place we've been, but it sure did feel like it. You cannot find ANYTHING to eat under $15. We went into a McDonald's, thinking those sweet golden arches would be our savior in this land of milk and money, but their regular meal was $14.00. FOR MCDONALDS. Are you kidding me? We explored Nazareth and saw the Sea of Galilee (which is waaaaay smaller than they make it out to be), and then spent two days in Jerusalem. Jerusalem was....okay. I know a lot of people love it, but I think we've been a little religion-ed out, so everything felt a little lackluster. 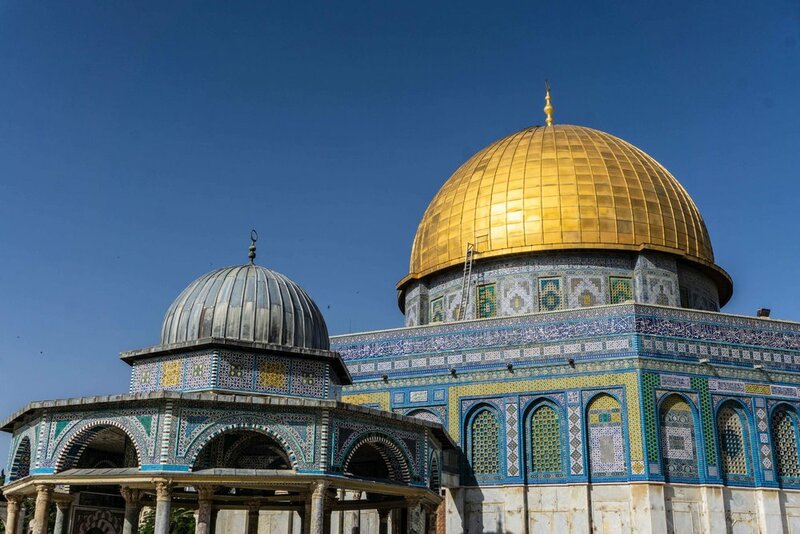 The prettiest thing in Jerusalem is the Al-Aqsa Mosque and Dome of the Rock in the Muslim Quarter, which I thought was pretty funny. We were also in Tel Aviv for Jerusalem's Independence Day, which was fun to see the locals party it up like the Fourth of July (which for them, it was). Tel Aviv was actually a cool city, somewhere I could see us spending more time if it weren't so bloody expensive. In the end, we are exhausted, weak, and puffy from hummus, but we have a different outlook on a lot of things. These past 5 weeks were not an easy vacation, to say the least. But in the end, I'm glad I went.